Outside at the main gate of the Temple, by the riverside, there are four tall and majestic pillars. There are a large sign hung high above, with the words “Dao Tai Luong Gian” (The principles in the world) and “Trac Viet Thien Co” (Higher than ever before) written. After going past the gate, we would see several small houses where kings and mandarins would stop by to prepare their outfits before going inside to attend the ceremony. 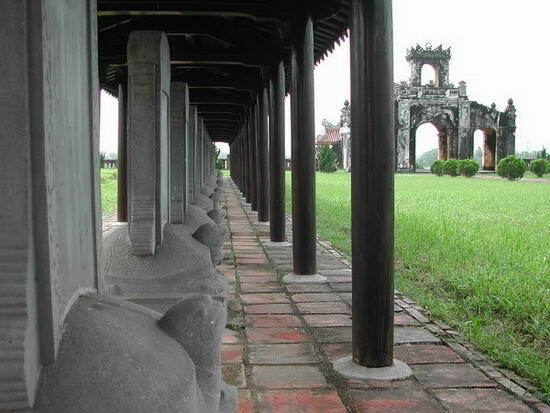 At the front there are two rows of 32 preserved steles bearing the names of 239 successful candidates in National Examinations organized through the Nguyen Dynasty. 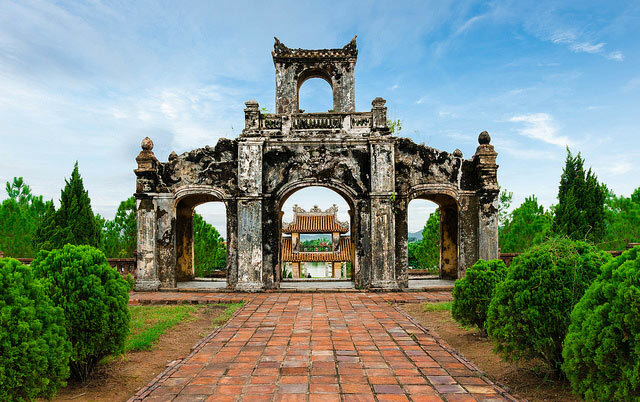 Although the monument has been damaged during the war as French troops once used it as barrack, main temple and especially the steles still remain. Tourists visit Thien Mu Pagoda can spend some more time coming to this site, which is on the same road. People can travel by car, motorbike or bike as well. Admission is free and there’s hardly anyone who looks after the site. .